Growing up, the thought of catching striped bass meant going to Cape Cod, Maryland, or New Jersey and hiring an off shore guide, certainly not fishing in the Hudson River. The Hudson River has been a depository for sewage treatment plants, storm water runoff, and industrial effluent for many years and in the 70’s and 80’s was never considered a “fishery”. However, with the implementation of strict environmental regulation and increased awareness of the pollution in the river over the years, the old Hudson has cleaned up nicely. The major benefactor of its better water quality is the striped bass (Morone saxatilis). 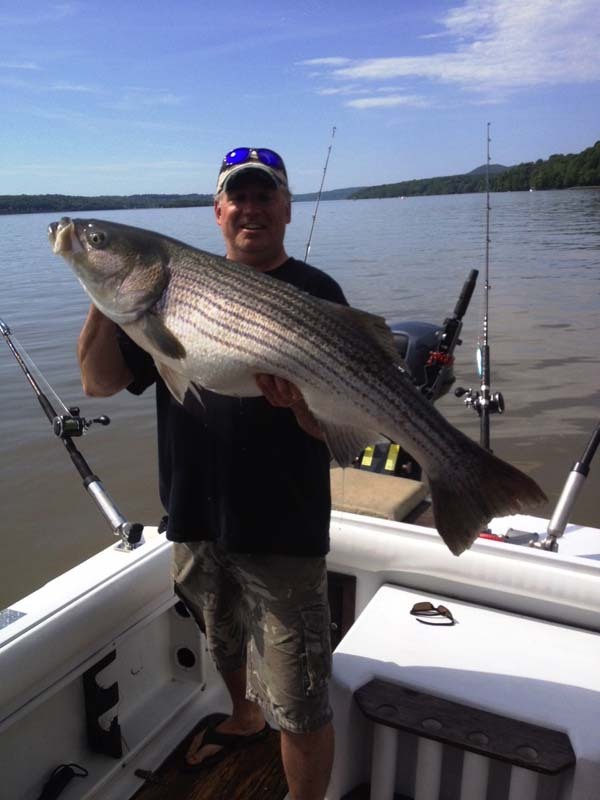 Why is the Hudson synonymous with the Striped bass or “striper” as they are called? Stripers are “anadromous” fish that live in salt water and migrate into fresh water to spawn. According to NOAA, striped bass were so plentiful when New England was settled, that they were used as fertilizer on fields. Because of their value as a food source, the practice was outlawed in 1649. Their anatomy allows them to tolerate both fresh and salt water throughout their life cycle. 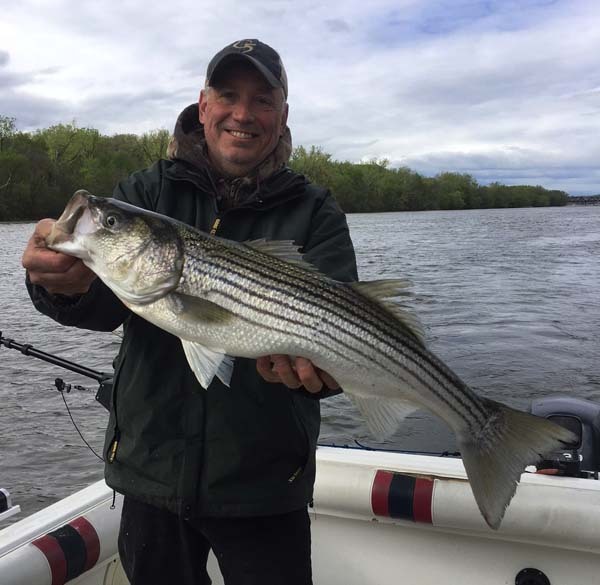 Striped bass migrate into the Hudson River, Chesapeake Bay, Delaware River, and Connecticut River to spawn starting in April and spawning occurs when the water temperature reaches 58-60 degrees Fahrenheit. The mass migration typically occurs in April with spawning occurring in mid-May, depending on water conditions. 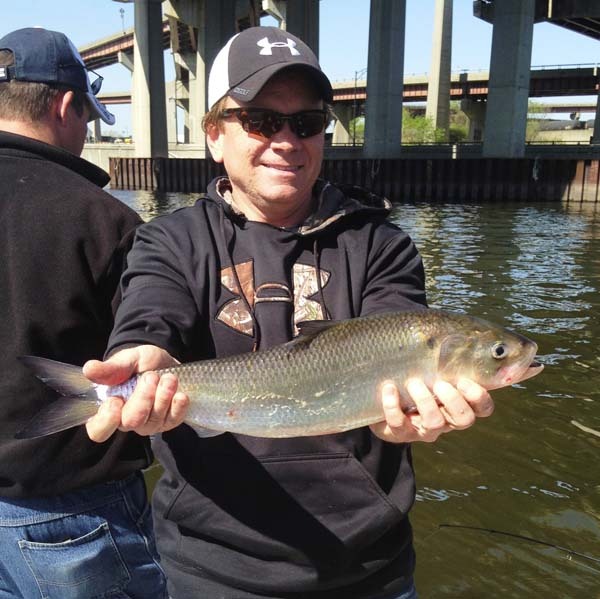 They follow the migration of herring (alewives), which is a primary food source of stripers, and American shad, into the rivers these species spawn at the same time of year. While in college for Natural Resources/Wildlife Management, I worked for a firm called EA out of Middletown, N.Y. We were assigned to conduct impingement and entrainment studies at the power plants along the Hudson River. I became enamored with striped bass since part of the job required the gill netting of stripers so their eggs could be collected for a hatchery at the Indian Point Nuclear facility in Buchanan, N.Y., just south of Peekskill. We would set the nets at night out of the Cornwall Yacht Club. The nets were checked constantly and when big females were caught, they would be shipped live to the hatchery. The hatchery was established as part of the mitigation for the plant’s operation and I was happy to be part of it. Stripers have had a long and tumultuous time of it over the years. Historically, the population dipped to as few as 5 million fish around 1982. Through management programs on the federal and state level, and by both commercial and recreational fisherman, the number of fish increased to an estimated 56 million in 2006. In NYS, the commercial and recreational fisheries are jointly managed by the NYSDEC and the Atlantic States Marine Fisheries Commission. In 2015 populations were up, but New York was required to reduce harvest due to a decline in the coastal spawning stock. In the Hudson River, a slot limit was implemented that protected spawning age class female fish. 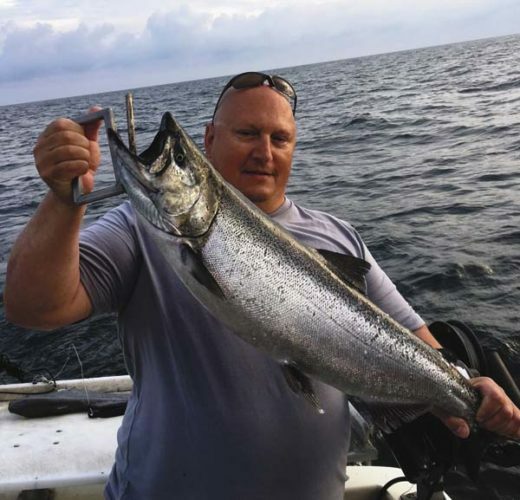 Fish between 28” — 40″ had to be let go and only 1 fish per angler could be kept. Anything under 28” would typically be a male thus protecting females. According to the DEC, most mature females are between 30″ — 40″ in length and weigh between 20 and 50 lbs, but variations occur. A single 55 pound female can produce 4,200,00 eggs. Stripers don’t build nests or “redds” like other bass. After fertilization, the eggs drift in the current and after 2-4 days, hatch into larvae. Eventually the larvae drift into a nursery area such as the mouths of rivers, and estuary area where they grow into juveniles. The juvenile fish stay in the estuary for 2-4 years, then migrate out to the ocean. 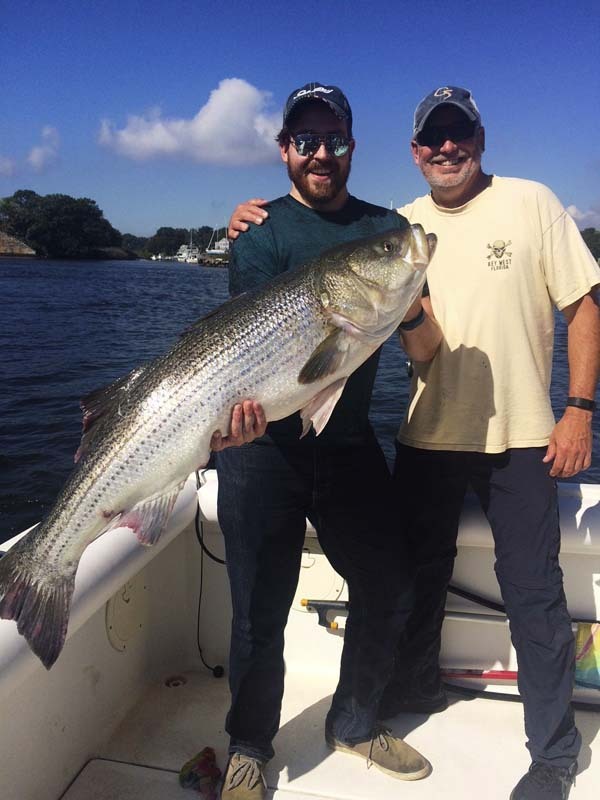 It’s obvious that the management strategies for striped bass are working, not only as the popularity of the sport increases due to the abundance of stripers, but also the size of the fish is increasing. 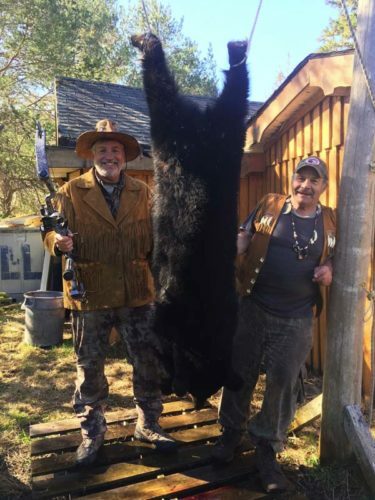 Eric Lester of Campbell Hall, N.Y. (my old home town) was fishing near the Newburgh-Beacon Bridge on May 14, 2014 and it’s a day that secured his name in the record books. Fishing a blood worm as bait, Eric landed a 53.4 inch, 60 pounder all by himself. This is the current NYS inland record for a striped bass. There are a couple methods used to catch striped bass: live bait, jigging, and trolling. Using live bait requires catching herring and to do this a Sabiki rig is used. A Sabiki rig is a series of small flies tied, 6–8 per line. Secure a live herring with a #2 or #4 circle hook just in front of the dorsal fin or with a treble hook to 24” of 20# monofilament line off a 3-way swivel. Off the bottom ring of the 3-way swivel, attach 12″ of 8# monofilament to a 2-3 oz. weight. Drop the rig to the bottom and reel up so the bait is swimming 1-2′ off the bottom. If live bait is not available, a chunk of herring will work too. You’ll get “bit” by catfish using chunk bait a lot. 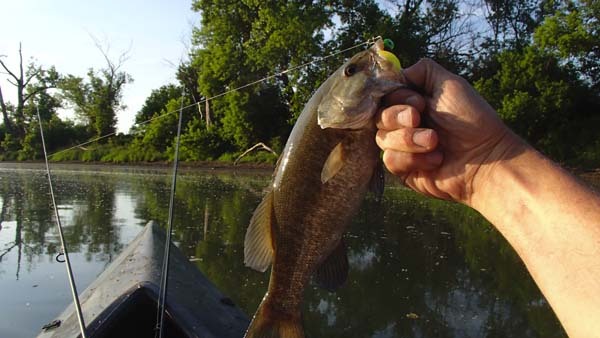 Live or chunk bait can be used either anchored or drifting. I prefer to drift and cover as much water as possible. If live bait is not available, trolling with large stick baits such as the 4.5” to 9″ Storm, Rebel, Rapala floating will work. The profile and color needs to imitate forage they are feeding on. Silver & white, blue & silver, and green & white mimic herring are all good colors to select. 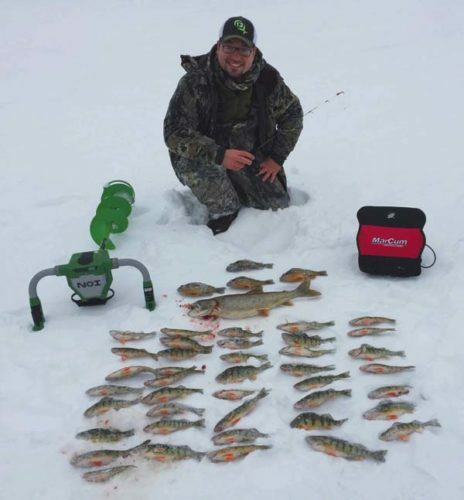 Once again, anglers are faced with the task of selecting what species of fish to target in the spring. 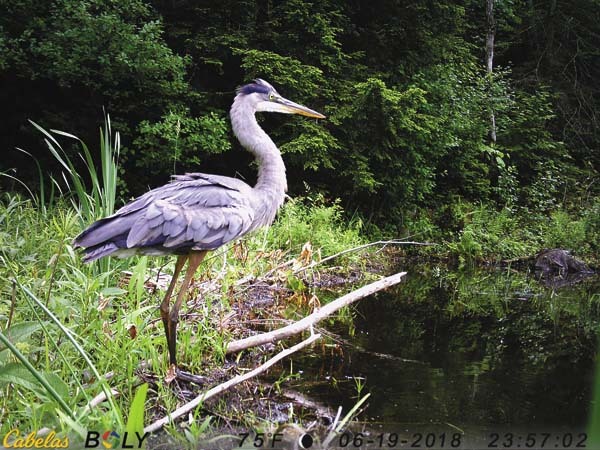 We have a tremendous amount of opportunity and a diversity of fish to target whether it be Great Lakes brown trout, stream fishing, walleye, or trophy striped bass … not a bad pickle to be in.